As we approach the end of International Merlot month with #MerlotMe I've made it through a variety of merlot with some pairings. Today I'm sharing merlot from Duckhorn Vineyards, Markham Vineyards and Northstart Winery. 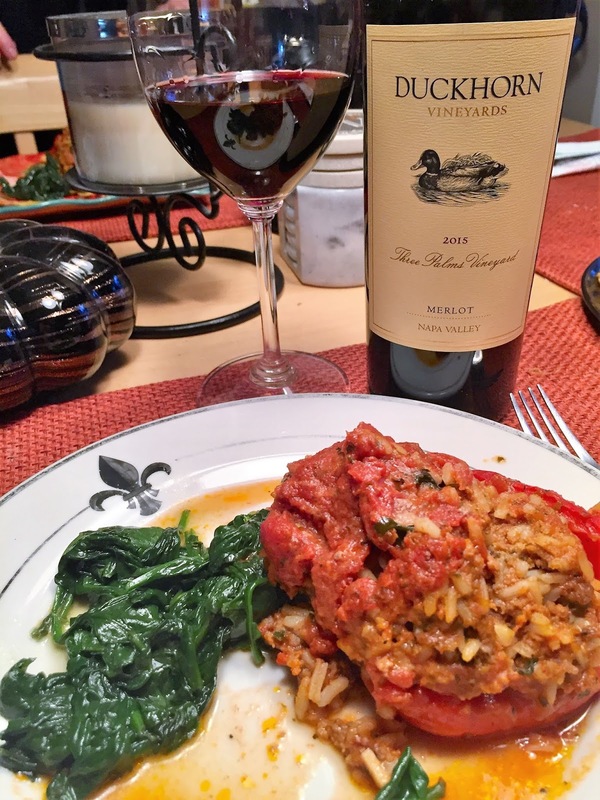 I'd love to hear what merlot wines you celebrated with this month and what your recommendations are. Markham Vineyards is celebrating their 40th year and 35th wine release. Founded in 1978 by Bruce Markham and was a winery originally established by Jean Laurent during the days of the Gold Rush. The winery owns 350 acre across a number of Napa Valley's premier winegrowing sites each lending their own characteristics to the wines. Markham Vineyards owns about 350 acres in Napa Valley. This merlot is sourced from a number of their vineyards in Yountville, Oak Knoll and Calistoga. Each vineyards lends their own traits with Yountville lending bing cherry aromas, Oak Knoll provides the sour cherry notes and Caslistoga gives more of the jammy fruit flavors. It’s a blend of 86% merlot, 12 % cabernet sauvignon and 2% petite syrah. 100% fermented in stainless steel and 15 months aged in barrel of which 28% is new oak. Dark ruby. Vanilla and dark chocolate on the nose. Cherry flavors with chewy tannins. 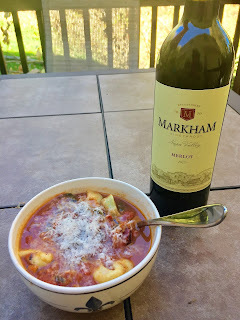 Pairing: I paired this wine with a sausage tomato tortellini soup. 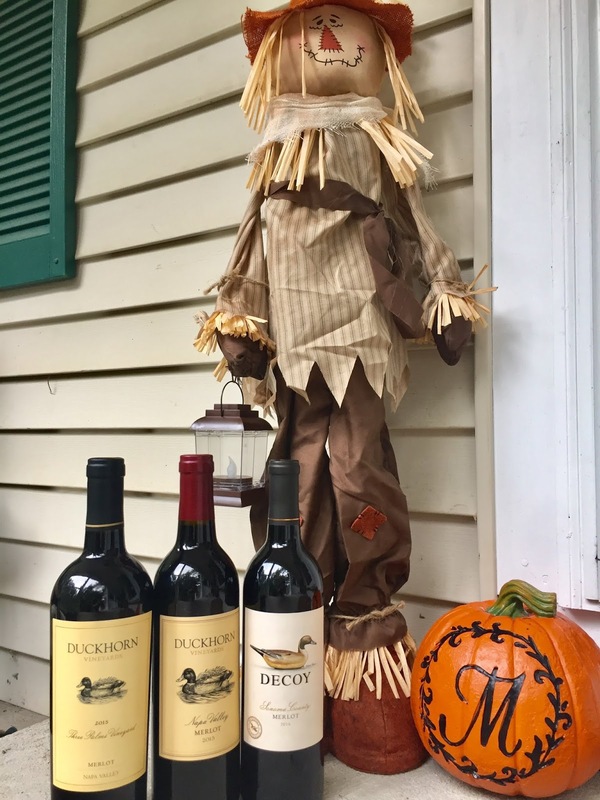 The following 3 wines are from Duckhorn Vineyards located in Napa Valley. The winery just last year celebrated their 40th anniversary and has been showcasing their prize merlots since 1979. Their grapes are sourced from 7 different vineyard sites each lending their own unique characteristics to each bottle. 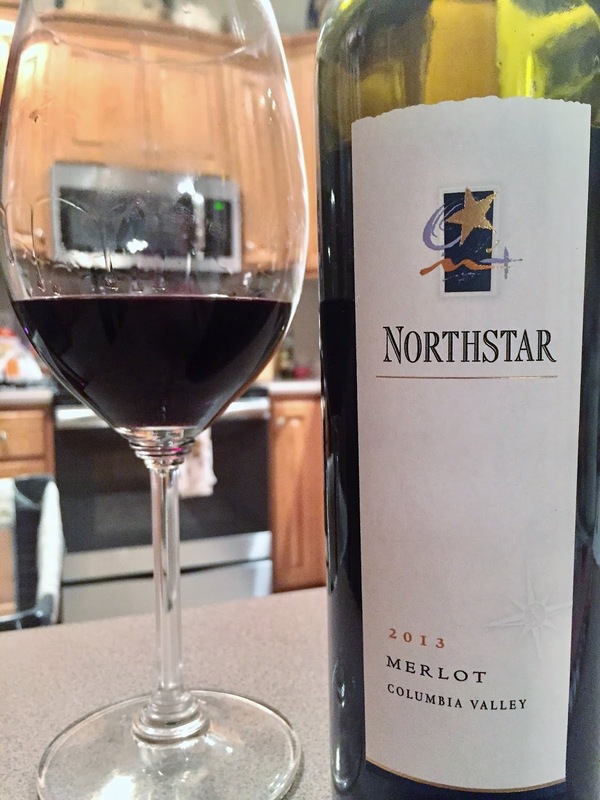 Founder, Dan Duckhorn, best describes some of the reasons why merlot is so special "I liked the softness, the seductiveness, the color, the fact that it went with a lot of different foods; It seemed to me to be a wonderful wine to just enjoy. I became enchanted with Merlot." Made up of 97% merlot with 3% added cabernet sauvignon. It’s aged 100% in French oak with 40% new and 60% neutral. 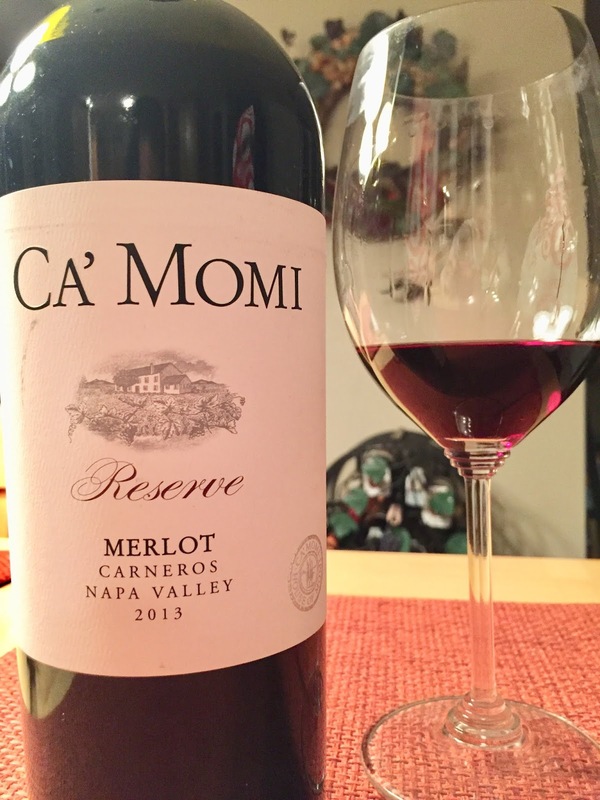 A nicely balanced wine with smooth tannins, blueberries, cherry and vanilla notes. Pairing: I paired this wine with some butternut squash chicken ravioli. Grown in Duckhorn’s estate vineyards and additional independent growers. Made of 85% merlot, 12% cabernet sauvignon, 2% cabernet franc and 1% petit verdot. 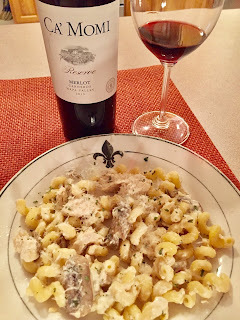 This wine shows elegance with dark fruit flavors as well as juicy red fruits. Notes of baking spices with vanilla. Well integrated tannins with a silky finish. The Three Palms Vineyard is their single vineyard merlot and is the "crown jewel" of their portfolio. They finally acquired this land in 2015 after having sourced grapes from there for years. 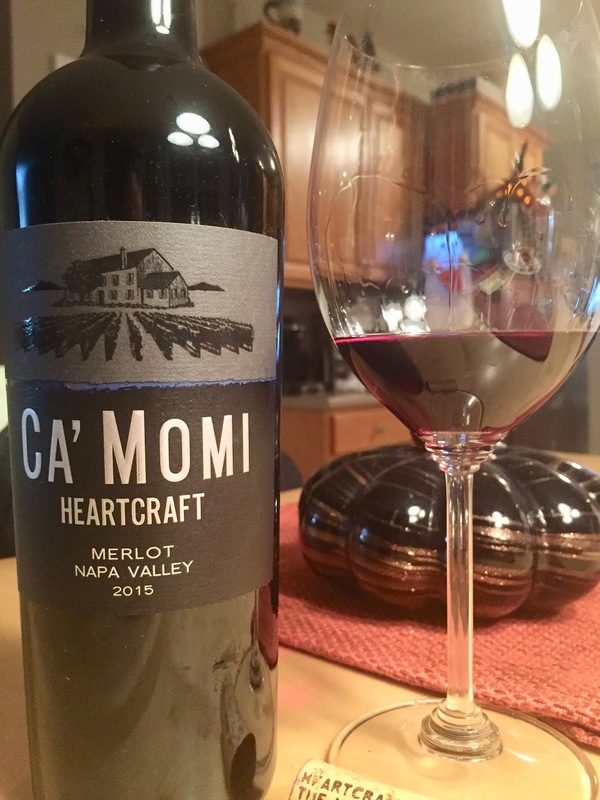 Named after the three palm trees on site this wine is made of 91% merlot, 7% cabernet sauvignon, 1.5% petit verdot and ½ percent of cabernet franc. This wine and the 2014 vintage was actually named "Wine of the Year" by Wine Spectator in 2017. Aged 18 months in French oak of which 75% is new and 25% neutral. A complex and intense merlot rich of dark berries, plums, cassis, spice and cocoa. Silky tannins and a long lasting finish to be savored long after the last sip. Pairing: It just so happened that I celebrated my birthday last week so my mother came and made me some amazing stuffed peppers and I thought it was the perfect opportunity to try this special wine. 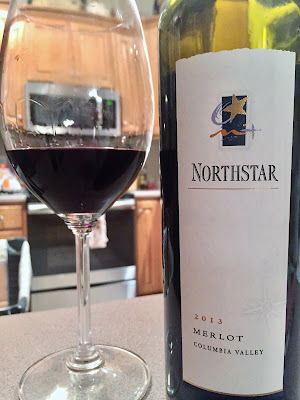 Out of all the wines I’ve tried for International Merlot month this was the only one outside CA and is based in Columbia Valley, WA, the largest AVA of the state. 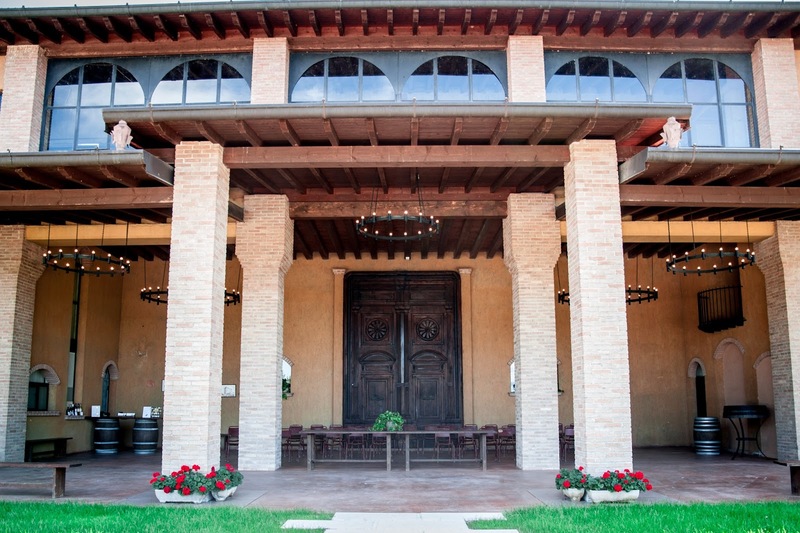 The winery is based on the same latitude of Bordeaux, probably the most well known region in the world for producing world class merlot. The winery was established in the 1990’s and they released their first vintage in 1994. Quite a difference from the merlot of CA as I found this merlot to be more rustic, less fruit forward. Upon opening the cocoa jumped out of the glass and needed a little time to open up. 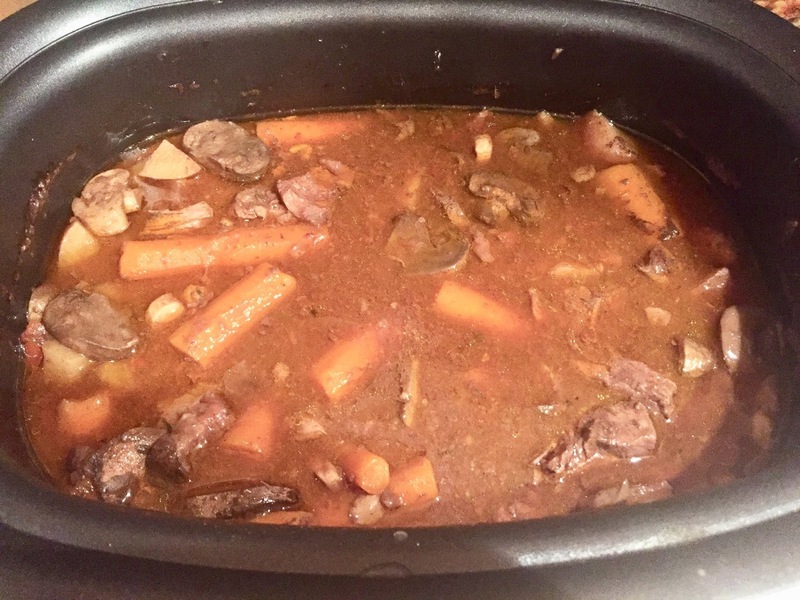 A full-bodied wine with jammy dark fruits with lots of structure. Still plenty of time to age this in the bottle and to be enjoyed in years to come. 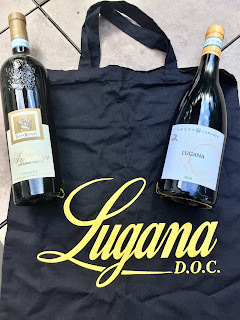 A couple years back I was invited to a wine tasting in Boston fully dedicated to the white wines of Lugana. It was quite a pleasant surprise to discover the beauty of these wines that aren’t often enough at the top of every winelover’s list. 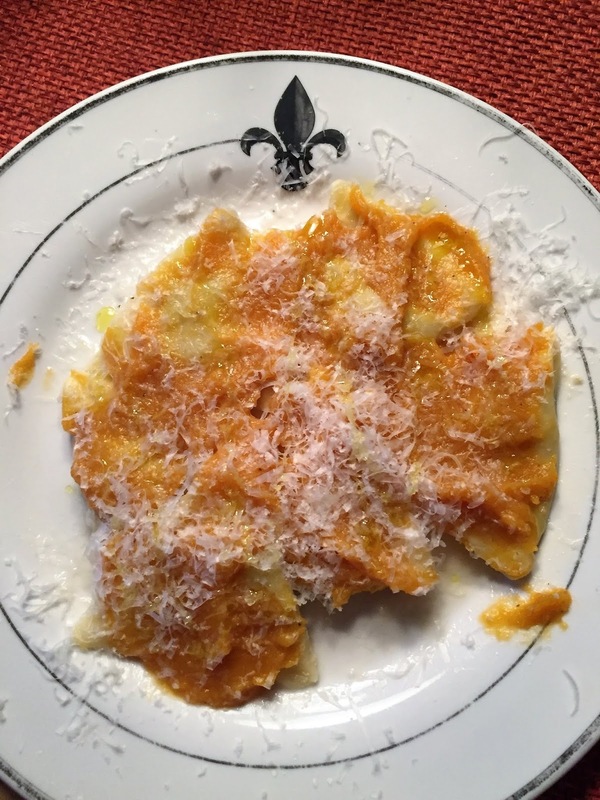 Our Italian Food, Wine & Travel group is exploring what these wines are all about including the wide variety of styles and how ageworthy they are. 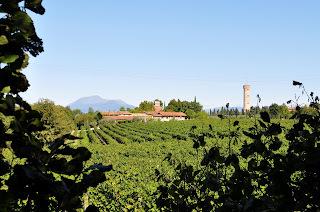 Lugana is a wine region located on the southern tip of Lake Garda. It’s in northern Italy and borders both the Veneto and Lombardy regions. 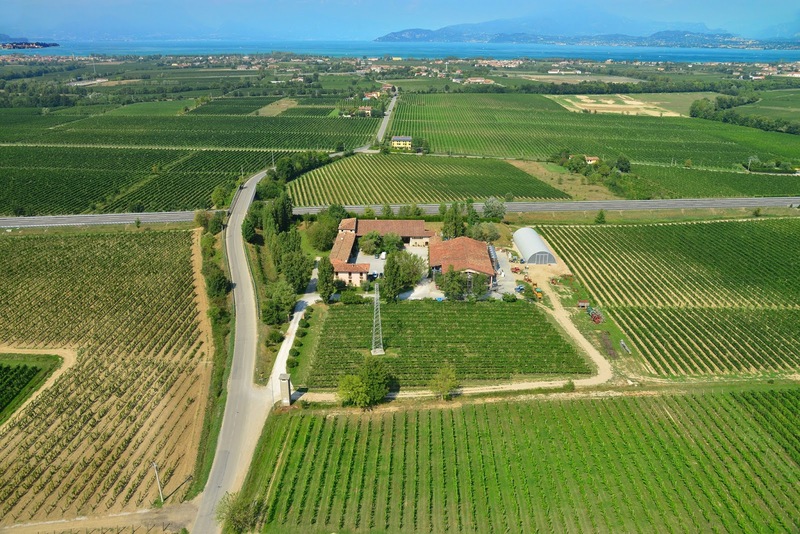 It’s comprised of the following towns: Sirmione, Pozzolengo, Desenzano, Londato del Garda and Peschiara del Garda, with the latter being the only to reside in the Veneto. It’s a short trip from the major cities of Brescia and Verona. I ventured over to Peschiera del Garda for the first time on my last adventure to Italy over a year ago. The area of Lugana was once completely covered as a forest, known as “Selva Lucana”, probably hence where the name came form. When the glaciers came down from the alpine region it formed Lake Garda and created the unique morainic soils. Wines from Lugana are primarily made from the turbiana grape also known as trebbiano di lugana. There is a 10% allowance of other non-aromatic white grapes, but many producers are making these wines with 100% turbiana. 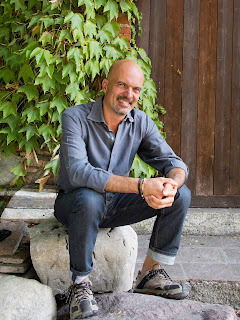 The regular wines of Lugana can typically only be aged about 2-3 years, but the others including the superior and riserva wines have capabilities to be aged 10+ years. 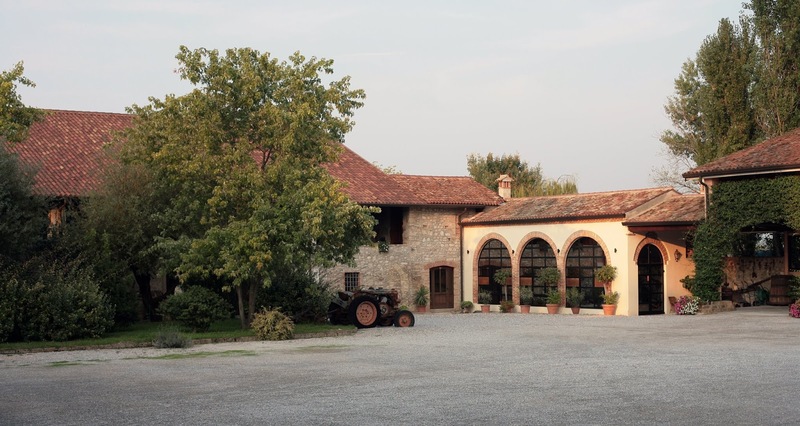 There are 5 different styles of Lugana: regular, Superiore, Riserva, Late Harvest and Sparkling. 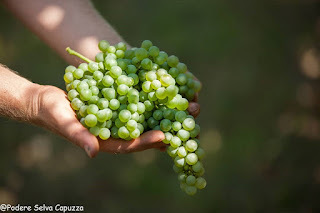 The regular wines of Lugana make up 90% of the production of the Lugana DOC. 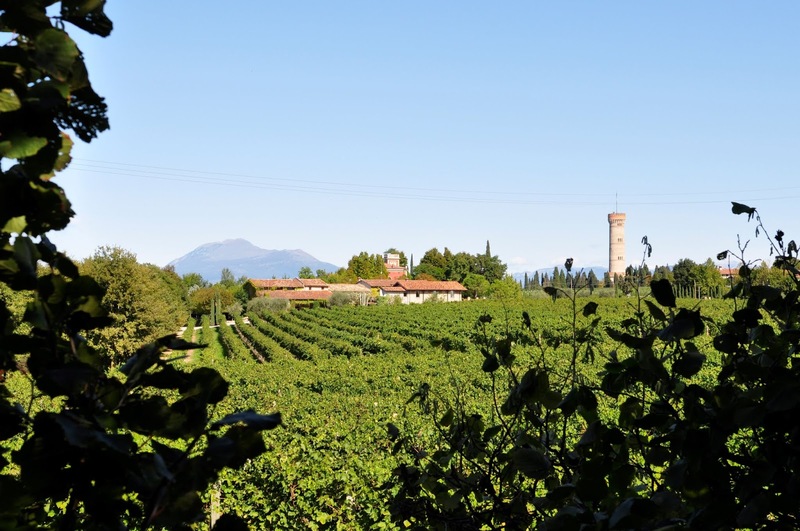 The wines made in the Peschiera del Garda area actually produce about 60% of the wines in the area. I’m sharing one from the regular style Lugana and one from the late harvest, known as vendemmia tardiva. 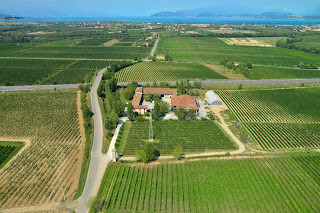 Tenuta Roveglia was started by a Swiss businessman by the name of Federico Zweifel when he relocated to the area at the end of 19th century. Four generations later his family continues to carry on the production and traditions of the winery as it stands today.